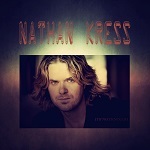 Nathan J. Kress is an Award Winning musician, actor, writer, director and producer based out of Oklahoma City, Oklahoma. The track "What You See" off his newest EP "Unplugged" will be featured in a live performance by Nathan in a new film titled "The Empyrean by Award Winning Director Amiel Courtin-Wilson whose films have screened at Cannes, Sundance, and The Venice Film Festival. 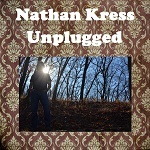 The debut album titled: It's Not Enough by Nathan Kress, was Produced by Grammy Award winner Trent Bell at Bell Labs in Norman, Oklahoma. *Cal State ranked it as their #1 album into rotation; Wisconsin #8, and six other College stations voted it in their top 25 on the CMJ (College Music Journal) Charts. ·Music Licenses signed with over 20 Movies, TV Shows, and Networks. Radio Contact: Brandon Day ( Tinderbox Music ): 612.375.1113 - brandon@TinderboxMusic.com LinkedIn Company Profile Page.